The master bedroom is slowly coming together. 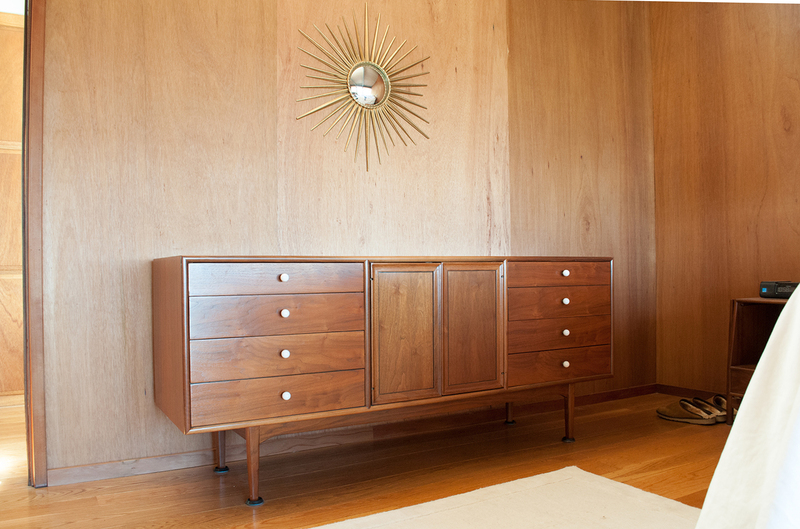 A while ago you may remember I purchased this Kipp Stewart for Drexel credenza on Ebay. It is in almost perfect shape. It was supposed to be for the guest room but we fell so in love with it, we wanted it all to ourselves. And it proved to be too large for the small guest room, anyway. It is now in our master bedroom. So began the search for the matching nightstands. 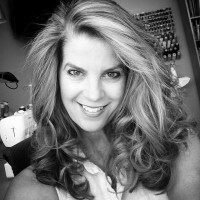 Way back when, I had originally purchased a Broyhill Brasillia credenza, headboard and nightstands for the master bedroom online. (Big mistake. They shipped across the country and the credenza arrived damaged and we had to pay to have the veneer repaired.) But we decided the headboard was too much wood for the already wood panelled master. Since it was for a king size bed and our guest room bed was a queen, I was left with no where to put it and decided I would have to sell it. Enter Craigslist. 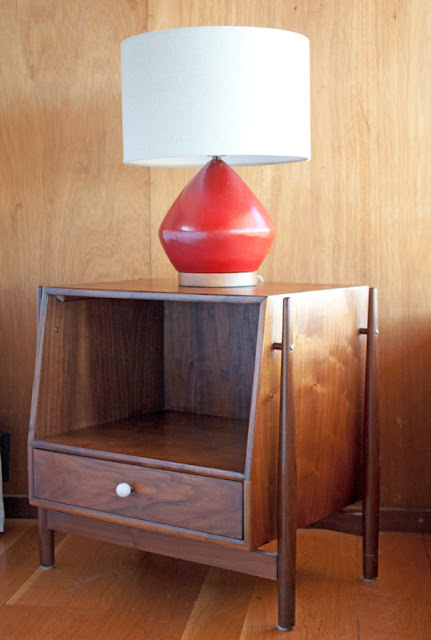 I had been scouring the for sale ads for matching Kipp Stewart nightstands but not having much luck for months. Until one day, there they were! And in California! 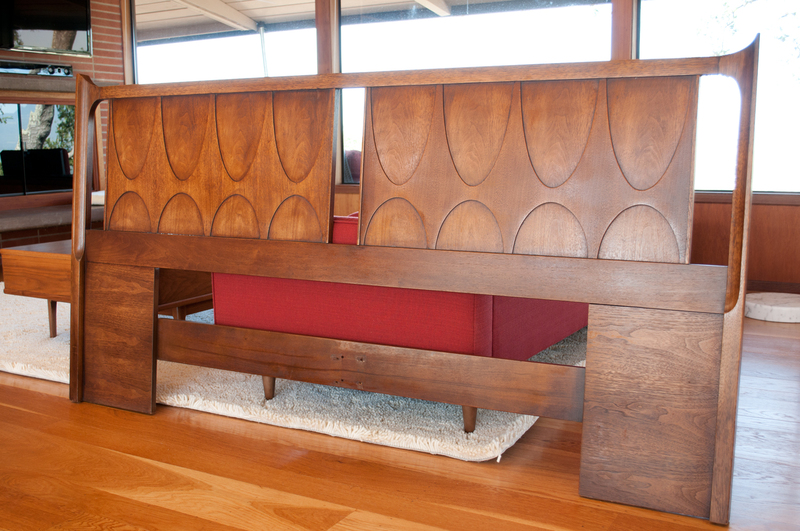 I called immediatly and spoke to the guy selling them and he just happened to be a Broyhill Brasilia line fan. He had everything in the collection for his bedroom but the headboard. Hmm, I might have one…. Thus ensued the clandestine meeting in a Starbucks parking lot, quick inspection, handshake, tradeoff, and both of us left very happy. We now have two of these lovely nightstands on either side of the bed that match our equally nice credenza. A new problem, though and there is not much we can do about it. I love the look of the low modern beds – but our king bed is a Sleep Number and it is pretty high from the ground with a box spring. It dwarfs the nightstands a little, unfortunately. Ugh, but I still have a ridiculously empty looking room and a lot of wood. We’ve come a long way, though. My next addition will be a fabric headboard. Hopefully, this will break up the wood somewhat. It’s so nice to be able to have the screen door open for a nice breeze on a hot day. 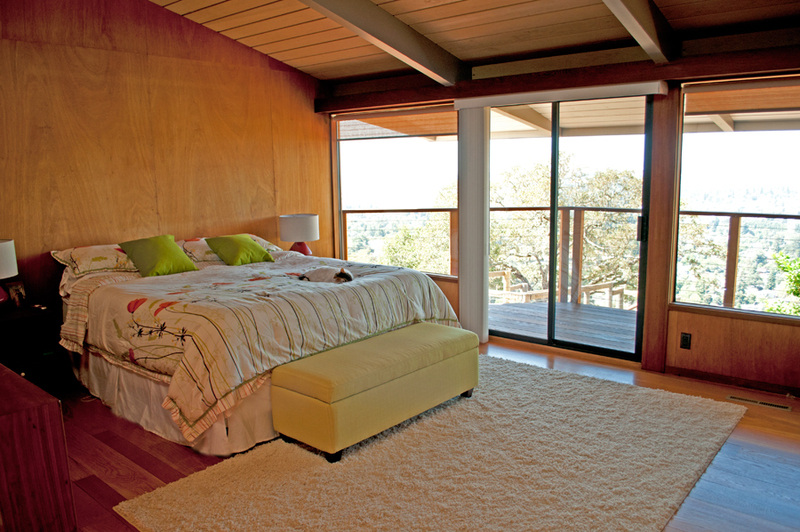 Or walk out onto the deck from the bedroom.